Magma Troopers are a specialized division of the Stormtrooper soldiers that gives them the special ability to survive and battle on hot volcanic planets. These soldiers are equipped with armor that is designed specifically to withstand extremely high heat, and even volcanic magma. 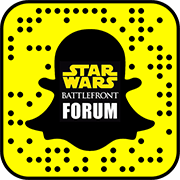 You can expect to see the Magma Trooper on planets such as Sullust when playing Star Wars Battlefront.